We would like to welcome you to the upgraded Nkombe Camp! 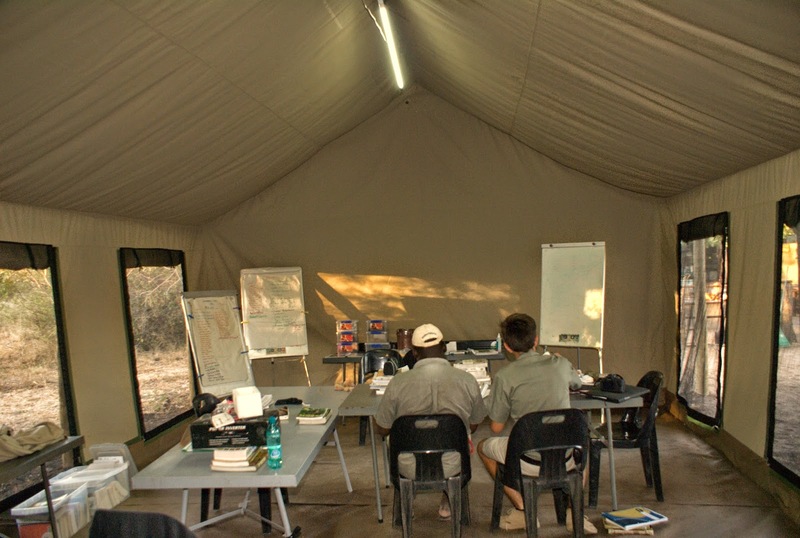 This blog is dedicated to our infamous training camp situated in the Greater Kruger National Park. 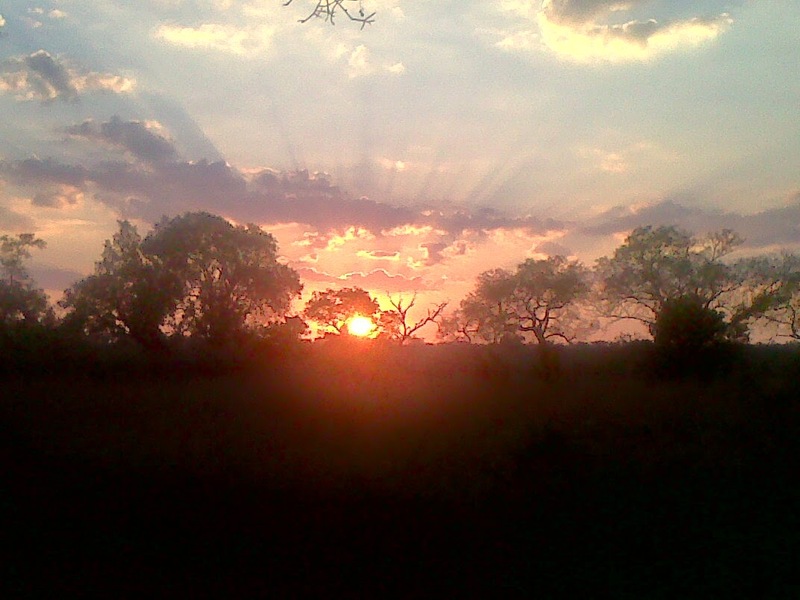 Sunrise in wild Africa is something not many people get to see! First of all, it is unfenced, unspoilt and unbelievably beautiful! This means that we frequently have an assortment of creatures visiting us throughout the days and nights. Breeding herds of elephant make good company as the sun rises above the Marula canopies in front of the camp. They regularly pass by, feeding around us in a relaxed way, some even venturing in between the tents! The deep bellows made by buffalo herds moving through the area are common as well as the sound of old buffalo bulls grazing nearby. 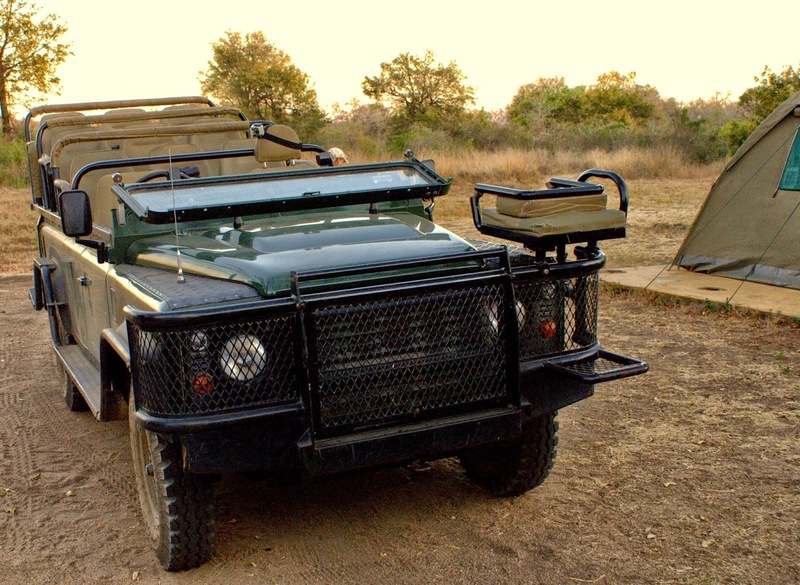 Bushbuck enjoy the surrounding vegetation and shady areas as well as Kudu which browse on the wide range of trees around camp. One of the wild and welcome visitors to Nkombe Camp strolling though! As the sun sets at the end of another day in Africa, some other visitors venture into our camp...The Spotted Hyena is one of them. Its eerie, iconic calls make the nights around the fire all the more exciting and memorable. Their tracks are almost always seen the next morning in camp as they scan the area for potential left-overs or possibly some boots left outside to chew on! Leopards are frequently seen at Nkombe Camp as there are so many of them in the area. Some lucky students have even witnessed a leopard hunt a bushbuck right next to the kitchen (how incredible)! The most perfect genet tracks are seen on the fireplace/dinner table every morning, a bonus for tracks training of course! Lions even pop in now and again which causes absolute delight and exhilaration for all of us. Their inimitable calls are heard regularly which become our lullaby as we retire after an eventful day in the bush. We even have a massive variety of birds as we are situated next to a beautiful dry river bed. This means we wake up to a melodious dawn chorus every morning and that we can do a great deal of bird-watching whilst having that first cup of coffee in the mornings. It's easy to see why the slogan of Nkombe camp is "never a dull moment..." This high density of life is why this place is so special and unique. Nkombe camp has character! The toilets and showers are outdoors...this means they are outside and have no roof. Who thought going to the toilet will bring you the full nature experience and even sometimes a game viewing experience? 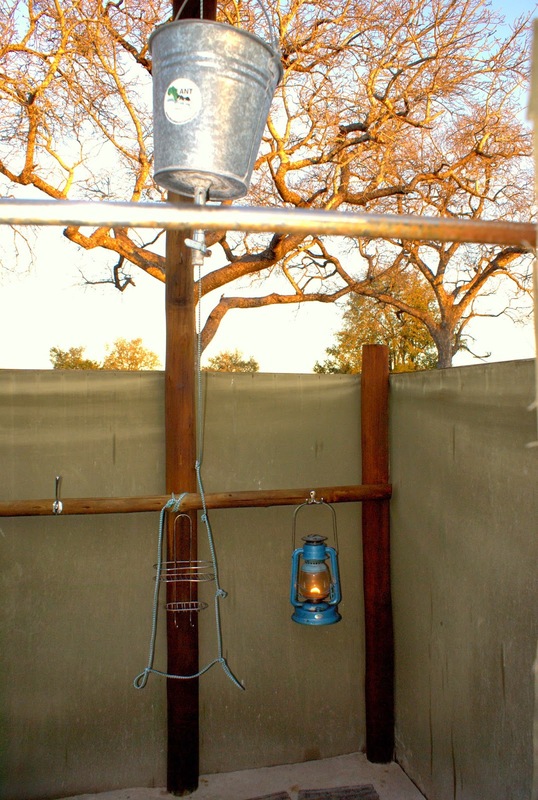 We have our notorious bucket showers which are surrounded by canvas (for privacy) which will leave you feeling not only clean but rejuvenated as well! Hot water is made in the 'donkey' which is a large water tank heated up by a fire. The showers have become famous features in our camp as you can do some bird watching while washing up ;). The camp is now 'green' and runs completely by solar energy which is a new adjustment we have made in the last month or so. We try to keep it as natural as possible in order for you to get the true African experience. We also have an all-new lecture tent which is large in size, making sure no one feels cramped while studying. This also includes a comfortable lounge as well as a wide variety of nature-related books to satisfy that hunger for extra bush knowledge! Our safari tents are fully furnished. You get your own personal tent (with the open savanna at your doorstep!) which includes comfortable beds as well as clean linen and a pillow. The tent includes a chest of drawers, hangers, a camp chair, laundry basket as well as crates to store all your personal items. This, in conjunction with loads of space, makes for comfortable living in the bush! Tents are cleaned and kept neat daily by Benny, one of our friendly staff. Nkombe camp offers the ultimate African nature experience... we hope to welcome you here soon! As I came around the corner of the shower enclosure, I walked right into the hyena! Miss that camp and all the folks that make it such an awesome place, and would really like to get back there, so please let us know of any interesting courses which you may have in the pipeline. FGASA level 1 Course - flashback!